Meters, Scopes, Graphs, Measures, Clinical, Diagnostic & Surgical Products, Bio-Products, and More. The A' Scientific Instruments, Medical Devices and Research Equipment Design Competition is a high level design competition open to both concept stage and realized products by professional designers and product engineerings, design companies, engineering agencies, and producers and manufacturers of these goods worldwide. Submitted entries are awarded in five main sub-categories: Scientific Instrument & Research Equipment Design Award, High-Tech Medical Devices Design Award, Re-Enable Design Award for Differently Abled Population and finally Medical Goods Design Award. 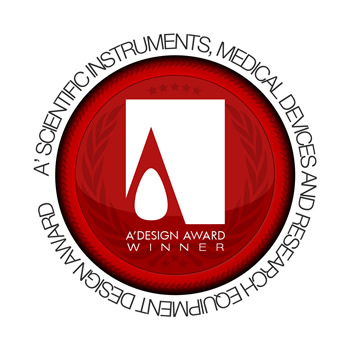 The A' Design Award for Scientific Instruments, Medical Devices and Research Equipment is not just an award, it is the indicator of quality and perfection in design, the award is recognized worldwide and takes the attention of design oriented companies, professionals and interest groups. Winning the A' Award is a certificate of excellence for both designers and engineers, an important milestone in your career. Having the A' Award attracts the eyes of perfection oriented companies worldwide, winners will be able to find better and higher profile leads, and reach a wider audience through their award winning. The winners of the A' Scientific Instruments, Medical Devices and Research Equipment Award are provided extensive and exclusive marketing and communication services to promote the success of winning the A' Award. Furthermore, the winning designs appear on the A' best designs book which is available worldwide, this book is furthermore distributed to the high-profile magazine editors, design oriented companies and relevant parties. The winning designs are also exhibited at our museum, and the best designs will be picked for the permanent exhibition. The winners appear on magazines, newspapers, webzines and many other publishing mediums. The Aim of the Scientific Instruments, Medical Devices and Research Equipment Design Award is to attract the attention of media to your business by means of publicity and advertisement of your award winning products and to further separate your company from the rest of the manufacturers by honoring your institution with a prestigious award. Learn more about the winners' benefits here. To learn more about winners' services here. And check the contents of the winners pack here. As a brief summary, your best designs will be published, you will be provided many PR-Services, and a representative from your company will be invited to our gala nights, your offering will be exhibited in our exhibition and you will get your offering published. Both concept designs and finished products can be submitted, however, only and only legally approved finished products are eligible for the award; non-patented, patent pending, approval pending products are not eligible. Research equipment and instruments are not restricted, any type of equipment or instrument can be submitted. For medical award category, please note that this competition is open to devices, equipment and tools only, the competition is not open to products such as medicines or drugs; any products that fall into these categories, administrated or unadministrated such as drugs are not accepted to the competition. In addition to supplements for diet, beauty etc are not accepted. To participate in the A' Scientific Instruments, Medical Devices and Research Equipment Design Award, you need to submit high resolution images of your equipment, along with technical specifications and performance indicators as a pdf-file. In the pdf description, please clearly state why your product is better or more innovative when compared to other products in the market; for example if your medical product is more effective for diagnosis provide proofs, if your laboratory device costs cheaper to produce and is sold at a cheaper price this is also relevant as the decrease in costs helps society etc. Important Notice: Please be informed that the evaluation methodology we follow to award the entries for Medical Design Award is based on primarily the information provided to us by the participants and Medical Design Award is not a scientific award; the award is purely"aesthetic" and we do not do any kind of testing of the submitted devices. The Medical Design Award should never be taken into consideration during a decision for purchasing, choosing or using any medical goods, devices, supplies, cosmetic or ergonomic products; always consult to your doctor or physician for professional suggestions and recommendations. The Medical Design Award does not run or perform clinical tests on the submitted products and entries are judged based on the indications, findings and data presented by the participants. Only use medical products and goods that are approved by your local health authorities. Award winners will be able to use a title that matches their nomination category: Such as "Scientific Instruments Design Award Winner". Documentation* Max. 40 x A4 Pages PDF Explaining why your product is better, how it is more socially responsible, or how it is more efficient or scientific when compared to other products. Please include research, scientific studies and other details. 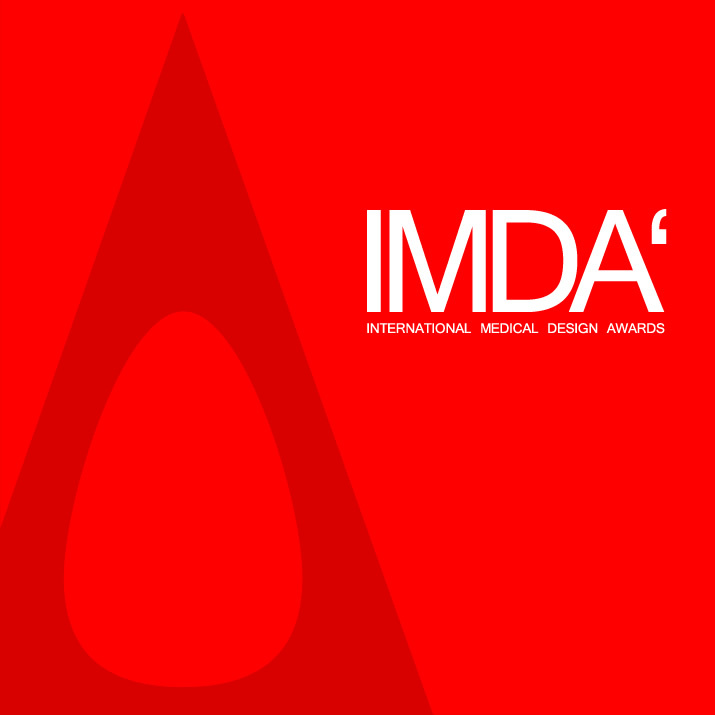 IMDA - The International Medical Product Design Awards, is a major design award category part of A' Design Awards & Competitions. Enter your medical products, research equipment and scientific devices for fame, prestige & publicity.